Competition posts | Follow The Fact! Brands that I love, and you will too. What music means to me. I heard the word music, and now I’m here! Let me tell you what happens when we listen to music. When that first beat reaches our eardrums, they vibrate, telling our brain about yet another thing that they heard, just that this time there was a rhythm, something our brain would comprehend more easily than a normal sentence. And then once our mind gets the hang of it, its frequency matches with that of the music and it starts resonating. So you may like this kind of music or that kind of music, but you simply cannot dislike music. Music makes us complete, music makes us human, and if I may say it out loud, a person’s taste in music is more or less enough to define his personality. And why not, after all we encounter music in all spheres of life. Our life starts with the music that we fondly call crying, although it does bring a smile on our parents’ face, then we move on to the nursery rhyme, covering the pop songs as we grow up in our teens and before we know it, we have adults fighting over Iron maiden and Metallica. For me, music has always been surprising. I never imagined that I would develop a liking for so many kinds of music. May it be Pop or Rock, country or classical, I never had an extreme point of view for it. For me, music always had something to teach. From classical I learned the patience, which is one asset that most men don’t have. From rock I learned how to express myself, how to control (or not control) my emotions. Pop taught me the importance of love and friendship, and it was rap from which I… well… learned to speak English very fast. Music is with you all the time, like when you take a bath and play your favorite playlist, or when you’re cooking while listening to Pink Floyd, or while driving your Tata Zica and playing Eric Clapton’s best! So the next time you meet someone and he tells you that he likes Raps while you don’t, appreciate the fact that he does. You can’t force music on someone, let the beats do it naturally. Oh, and also, stop pirating music, that’s the least you can do for something that’s with you whole your life! Recreating the mother of desserts with Sugarfree Natura. I’ve kind of a sweet tooth, or as my mother puts it, “I’d rather spend my life packed in a box of sweets than live without one”. And in my defense, this is only because of the amazing sweets that she makes at home. I’d any day prefer a homemade dessert over the ones we buy from the sweet shops. And for a long time I’ve seen my mom trying to explain her recipe to so many people who later mostly unsuccessfully attempt it. So when Indiblogger and Sugarfree Natura came up with the Sugar Free Dessert Challenge, I just had to share my mother’s amazing Five Star recipe with all of you. So, what’s so special about this sweet? Well, it contains the essential nutrients and is pretty easy on the stomach, not to mention the added goodness of Sugarfree Natura will give it an edge over any other dessert. So without further ado, let me tell you the recipe of the “5 star barfi” directly from my mom’s kitchen. Gram Flour (Besan) 1 Cup. Coconut Powder (Nariyal Boora) 1 Cup. Almonds, Raisins, Cashew. 1 Tablespoon each. Before I begin, let me tell you that this is probably one of the easiest Dessert recipes that you’ll come across, given that even I can make it. This is also one of the tastiest things you’ll eat once it is ready. First of all, take a big frying pan, and pour half of the Ghee in it and heat it on a medium flame. Once the Ghee has melted and become hot enough, put the Gram flour and coconut powder and milk in it and start stirring it. Make sure that you don’t let any lumps form, once the mixture become homogenous, pour the remaining Ghee in it. Keep stirring. And now put the Sugarfree Natura Diet Sugar and half of the dry fruits, mix it thoroughly. Remember, do not let the lumps form, which is an important part of making any sweet. Heat the mixture till it starts getting a very light shade of brown, keep stirring the whole time to make sure the heating is uniform. Once the mixture starts solidifying, that’s your cue to lower the flame, give it 5 minutes and then take it out on a large dish. Now garnish it with the remaining dry fruits and Kesar leaves, or anything else, use your imagination. Let it settle for around an hour. Once the mixture has settles and become solid, touch it with your finger to see if there’s still any softness remaining. If it doesn’t stick to your finger, it’s time to give the ‘Barfi’ the shape you want. Cut it with a kitchen knife and you have the world’s best homemade mithai with you! For Sugar Free Natura powder concentrate users please use 37½ measures of the special spoon provided in the pack. And yes, this dessert contains Ghee, making it pretty digestive and nutritious, and it can be stored in a cool and dry place for up to a week and will stay fit for consumption. Did I not tell you how it looks once it’s done? Well, you’ve got to see this! The authentic “5 star” barfi. So, wasn’t it amazing? There’s so much more that you could do with SugarFree Natura. 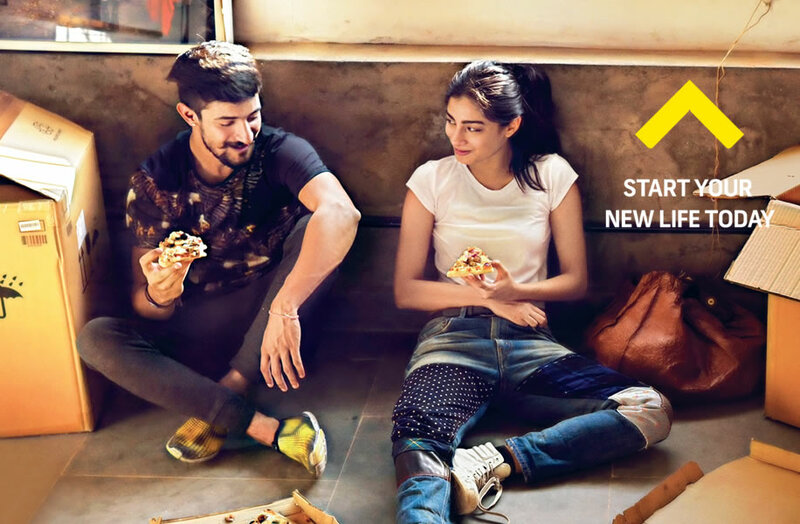 Do check out http://sugarfree-india.com/ for more. Do you remember the childhood days, when we used to wake up, read the newspaper, go to school, play, study and come back and sleep like a baby? Now-a-days too we do almost similar stuff, just that we wake up because of our smartphones’ alarm, read news on our phone, work on our computers, play games on the laptop, do all kinds of readings on Kindle and tabs, and not to mention, feel difficulty in falling asleep because of all the headache this screen gave us. No wonder the world wants to go back to the old days, but simply can’t afford to. And in my opinion, one other thing this invasion of smartphones in our lives has done is to make us forget the people we used to be close to, we used to love. Not that we don’t love them anymore, just that this entire social media concept gives us a vague feeling of being connected, and ends up taking us apart from those we need to stay close to! So what does one do to get rid of that? What is ‘Togetherness’ after all? I believe the answer to this lies in the core values we’ve received right from our childhood. For me, real togetherness is being able to have the morning tea with my family and have a laugh together on our horoscopes! Real togetherness is going on a family trip with no phones to disturb us and no computers to distract us. Real togetherness is remembering each other’s birthdays, without Facebook or a calendar. Real togetherness is sharing that pizza with 8 pieces among 7 friends… And fighting for the last piece! Real togetherness is attending a rock concert together with your buddies, and actually enjoying the performance without recording it on our phones! Real togetherness is feeling that grass beneath your feet and rain drops on your face, and that feeling of bliss no number of megapixels on your camera could ever capture. With a great life comes great responsibility! Or maybe something like that, I might not remember the saying but I do know that I have a lot of responsibilities. And when you have targets that are big, small things shouldn’t take up much time of yours. So with this way of thinking, it was obvious that I hate it when I have to remember what recharges to do on my numbers, which is the best plan of the thousands that are there and to make sure I don’t spend too much on this. But thankfully, there are apps to make your life easier. Or at least that’s what I used to think till I got tired of the numerous apps and there notifications. So to put an end to all that I downloaded the MyAirtel app. And let me tell you that this is one app you need to have if you have an Airtel connection. Let me tell you about a few things I liked, the three best features that suit my lifestyle. I’m an IT guy who likes to stay connected to the web all the time and needs to make long calls to get things done. So primarily I look for something that offers me faster and cheaper data and well suited plans for my talktime. Good thing that Airtel gave me my first recharge for free when I downloaded the app! The first thing I liked the most about the app was amalgamation of all the airtel services in one app. So it doesn’t matter if you’re looking for DTH or Internet or your bill payment for telephone connection, this app will do that. It saves me the hassle of going to different websites to pay the bills and wait for offers that are good for nothing. That’s two features I’m talking about. One, the fact that I can store my favorite tasks as favorites and quickly access them. And another that I can easily set alerts so I don’t have to remember the next time I need to get a recharge done. Oh, and another that whenever I make a transaction, I get free stuff! Yes! There are airtel surprises no matter what you do on the app. I was just not sure which feature is better so I called it a tie. The app only offers. It feels good when you’re rewarded for something and the app only offers do exactly that. 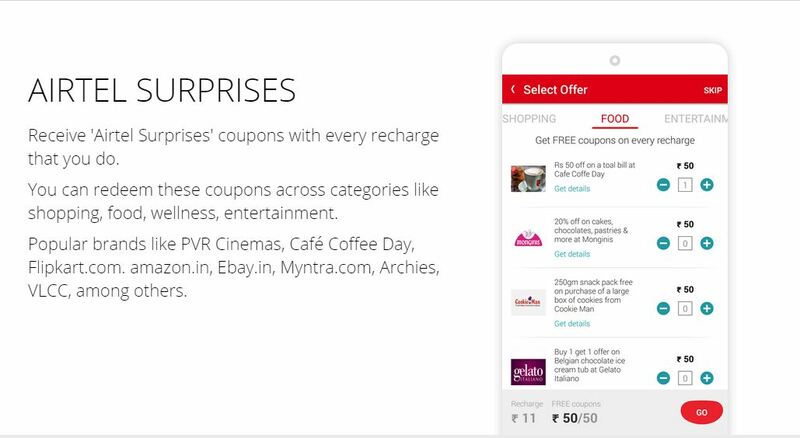 Offers like free data and extra talktime make every transaction on the MyAirtel app a rewarding experience. There are many more amazing features in the app, like the control features and customisation options for both your mobile and dish TV, you’ll know once you install it in your phones from here. Find out the link which is suited for your phone. 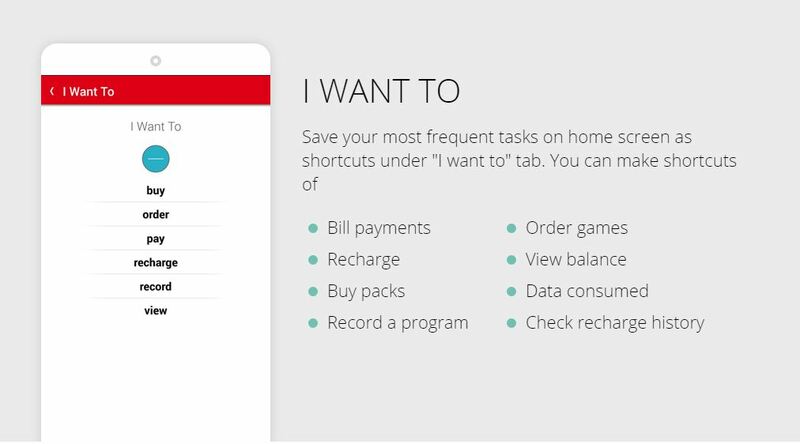 http://www.airtel.in/myairtel. Airtel is one of the best service providers in the country and this will definitely help us get a better experience from it. What will my phone be like? Today we live in a world that has more than 90 percent of its contents stored digitally. There’s over a billion websites on the internet, millions of softwares and billions of apps ready to make your life easier with a click. Or at least that’s what it looks like in the beginning. You’ll wonder how many people buy smartphones every day thinking that their lives will become easier and they’ll have more time to enjoy the things they like to do, and how many of them end up wasting more time in simply unlocking their phones and waiting for them to… well… unhang! That’s right, when you choose a smartphone, you need to give it enough time so that you don’t have to spend too much time later on. Let it do the work for you. So where am I going with that? To be honest, this is about the latest Asus Zenfone 2 that I came across. I have been a fan of zenfone before too and with this one, Asus has given some real tough competition to its counterparts. So how is the Zenfone 2 different from the rest? I can tell you why it is for me. Let me begin with saying, 4 GB. And no, I’m not talking about the internal storage memory, that’s the RAM I’m talking about. 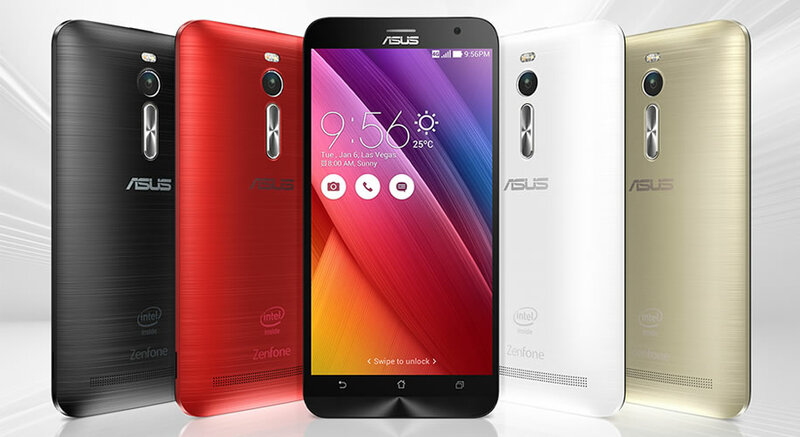 The zenfone breaks the stereotype of 2 and becomes the world’s first smartphone with 4 gb ram. So forget hanging of the phone, you have enough working memory to run a freaking autocad in there! In this phone they have put in what they call the Asus Special Technology. Now I don’t know what that is technically, but I do know that it will charge my phone to 60% in 39 minutes. That’s like less than the time it takes me to watch a Game of Thrones episode! So isn’t that amazing? Now I personally believe a good phone is incomplete without an awesome camera! So asus has got that covered for you with a very decent camera with a zero shutter lag and a superb 2 pixel master quality. And that my friend, can take HD photos of a running cheetah to be framed for your largest wall. Get the drift? One more way in which the zenfone 2 redefines my smartphone experience is the UI. Having seen its reviews, one thing everybody agrees on to is the superb and easy UI that gives you the most output with a minimal design. No flowers to distract you there! Am I supposed to stop with 5? Coz I could go on and on and on. Anyway, the last one here would be a package. The Quad core intel atom processor, the stylish night mode and the amazing way you can accessorize your phone, they all make it worth it. And above all, the price. Can you believe you’re getting all that in almost half the price anyone would pay for such a beauty? Are you ready for some tasty “Nashta”? “A breakfast is the most important meal of the day!” Only if I had a penny for every time someone told me that. It is true though, a healthy breakfast keeps you energized and fresh for the day making sure you don’t get exhausted while you’re at school, college or maybe work. Being the guy who skipped 300 breakfasts in a year when he was in college, I can say that I have understood its importance the hard way. But what about the kids who are yet to understand that? You certainly cannot tell them the health benefits and expect them to start eating a good breakfast everyday! If the taste isn’t tempting enough, they’d not like it for sure. My mom and sisters have this style of experimenting with breakfasts. I can personally vouch for the amazing taste they bring to the table every morning, thanks to which I’ve grown to like this meal more than ever. But one thing I’ve observed is that sometimes what they make is not easy enough for everyone and also, quite a few times, they also have to compromise with the nutritional value of the breakfast to make sure it is tasty enough. And now, to tease them, “Gupta ji’s family makes a better Nashta than this!”. You didn’t understand that? Well, take a look at this video and you will. Got it now? Guptaji’s family is amazing in many ways. The oh-so-naughty boy, the cute little girl, the all-time-irritated father and the amazing-cook mother, they all make what you can call the amazing breakfast, aka, Kellogg’s wale Guptaji ka nashta. With the kellogg’s corn flakes, Mrs. Gupta has brought to you some brilliant recipes that will give you the best taste along with an amazing nutritional value. Don’t believe me, here’s some of their dishes. 1. Almond Coconut Shake (Kellogg’s Waale Guptaji Ki Family ka “Remote Wala Nashta”. Out of all of those, my favorite recipe was the Almond Coconut Shake. I liked the others too, but it’s easy to make and astonishingly tasteful, you’ll know once you drink it. 2. Blend together all the ingredients till smooth and frothy. 3. Serve immediately garnished with fresh coconut. What is happiness? It sounds like a question with no right or wrong answer. It’s different for everyone. While some people find happiness in gadgets and cars, some find it in the dinner they get after a long day of hard work… for some it may be the six our Indian cricket team captain hits in the final overs to win a game and for some it’s the smile they see on someone else’s face because of them. Happiness is the feeling you get when you know what happened was what you actually wanted from life. It can come from the smallest to the biggest things, it doesn’t depend on time or place, it just happens. Much like love, or as they say, love is happiness too. As the prompt given by CocaCola asks about what simple things make you happy. Here’s what my answer to that is. I am not a very materialistic person, if someone gives me a gift, a small letter telling me how close we are will give me more happiness than a 100$ watch. I don’t need miracles to happen, I find happiness in the small joys life has to offer. I get happy when I manage to wake up before my alarm tells me to… I get happy when I can understand a code in the first go (Erm…. I am a software developer)… I get happy, nay, ecstatic when the plane lands in my hometown and I know I’ll be eating the food my mom made for me for the next few days/weeks. The night sky and those wandering stars make me happy… the small drops of rain and the amazing aroma of soil that comes when the first drop falls on it, that makes me happy. I feel amazed when I clear an exam or an interview that I really wanted to, but that should be common to every human being. But I also feel genuinely happy when I see one of my friends scoring a good rank (You have to agree that most people feel a little jealous too). Happiness, for me, is something that cannot be forced. You can either feel it or not, you can’t try to be happy for something. If you can find happiness in the simple things life has, you will definitely have a better life than most others. Life is complicated, it’s a competition, a rat race as some put it. All of us are a part of that race and I believe it’s better to run with a content mind and a happy face rather than worrying about it every second. So find your happiness in everything. From the first ray of sunlight to the first sight of moon, from a healthy breakfast to a fulfilling lunch, from a kiss from your beloved to a hug with your best friend, from your favorite cold drink to an awesome game of football, from a drop of rain to the smell of roses. Happiness is everywhere, don’t search hard, let it come to you. I have always believed that life is what you make it. More than the destiny or the circumstances, it is about how you choose to live that decides your fate. This is about the time when I was in college. I had just met an accident and according to the doctors I had to stay in bed for a month. For the outgoing person like me, not being able to go out for such a long time was no less than a curse. In the beginning it was okay, the medicines made sure I wasn’t in my senses half of the time. But as the dosage was reduced, my mind started playing around. All the time I used to think about what my friends will be doing and how I am missing on so many things. They used to visit me though, and my family made sure that they take the utmost care of me, but none of that seemed to work on the void that my conscious was building. I tried to distract myself with TV, music and what not, but none of those kept me occupied for more than a few minutes. My mom could see it, just like she always did. She wanted to help but probably she couldn’t find a good answer to this herself. I told myself that it will be over soon, just one-two more weeks to go, I can handle it. But then came another blow; in my routine checkup the doctor realized that I had to undergo another surgery which would mean one more month on bed, and this was probably the final push towards a stage I didn’t want to be in. I almost gave up, I wasn’t afraid of the pain or the surgery, it was the not being able to walk feature of that operation that struck me hard. How could I spend one more month like that! I tried hiding the expressions of the potential depression, but you know mothers, they know you better than you know yourself. This was the time she decided to have a talk about this with me. She came to me after dinner one night and asked me what was going on in my mind. I was honest with her, told her how I felt I was losing something. She asked me to relax for a second and think about all the people who come to meet me every day, who care about me. Then she asked me what I would do if I could go out just like I used to. I told her that I’d probably attend college, have some fun trips with friends, drive, dance and what not. What I didn’t say was that I’ll write, and that was true, once you have enough on your plate, you tend to miss out on a few things and she knew writing was my passion. She asked me why I wasn’t writing now. I couldn’t think of an answer. I used to write a lot but I had almost stopped since the accident. And I had no idea why, it was something I could do in any situation. She realized I had no answer to this. She told me about the thousands of people who suffer way more than me and that I at least had a chance to get back on my feet in some time. She inspired me to write, about my life, about how I felt after the accident and to make sure it became inspirational for others who are suffering from something. It made sense, this seemed like something I could do and would love to do. I could feel a smile trying to make its way on my face. And I could see it reflect on hers. The next morning, I took my laptop and started writing. One month, 25 articles and 50 pages to what I later converted into a book. I couldn’t believe I made it that far. And I couldn’t thank my family enough for that. And this is life, just a ray of hope is all you need to defeat the darkness and pessimism. It was a time that I spent with someone close to me and it became one of the most memorable ones. It had to, I gave it no other option. And I ask the same from you. Be happy, stay positive. “Take a fresh start”, “Start a new life” I cannot count how many times I have heard these lines whenever I failed in something. The best part about having encouraging and optimistic people around you is that you become positive about the smallest of things which helps you tackle the biggest of situations. But what if even they feel like giving up some time? What if the encouragement you depended upon is not there when you need it? Will you just give up? For me, the answer to that is simple, I’ll make it a point to succeed and tell myself that I’m my own encouragement. This is about the time I did my summer project in college. For those of you who are in engineers, there’s no need to mention the significance this single thing has on people’s careers. When I was searching for a good project, I remember going through a thousand ideas and not liking even one. Then one day a friend of mine told me about an automated wheelchair project his friends in another college were working on. It was a great idea, I liked it at the first go, but at the same time it was challenging. We had two months to do it, and we were three people who were confident about their part in the project, so we took it. We started very enthusiastically and made good progress in the very first week. We used to meet daily and work for hours on one or the other problem. Our target was to make a wheelchair that could be controlled by a simple joystick in the lowest cost possible. But as they say, when something has to go wrong, it most certainly does no matter what you do. And that’s what happened. One of my teammates who was handling the whole research part single-handedly (which includes talking to medical practitioners, sellers, shopkeepers and technical people) had to leave town due to a family emergency just to later tell us that he couldn’t make it back till the month was over. To add to the shock, the other friend of mine who used to help me in the programming fell sick of typhoid. For a moment it seemed to me that it was done. There was no way I could take that project from there. It wasn’t the fear of bad grades that got me worried, it was the fact that I was going to see myself fail at something I dearly wanted and there was no one who could help me out in that. I remember how my parents and my sisters always supported me in everything I did. But at this time even that couldn’t work for me. I knew the situation and every bit of it told me that I couldn’t do it. But isn’t that the kind of challenge that the champions crave for? I asked myself that and even though I was no champion, I prepared myself for the path to become one. Now taking this project single-handedly was not a good idea to pursue in such a short duration. So I did what we do with our computers when we got no other solution, restart. I sketched out a completely different plan with the material in hand and decided to for a more automated thing without worrying too much for the cost. I changed the whole thing and gave it a new start. It wasn’t the kind of project that could fetch me better grades, but it was sure giving me a better exposure to technology. I started contacting the people from the list that we had made earlier and took some help from a senior to modify the initial program we had made. Only I and the 10 people I bothered day and night would know how much hard work it took to reassemble that thing. But when it was finished, I felt like I had given birth to a kid, I mean, you understand… right? The whole project was a very big life experience for me, the one told me never to give up and take a fresh start if needed. It was the kind of thing that will always stay with me no matter what. And you know what the best part was? I did get the best grade and oh… I also managed to interest a potential investor in the same idea. See, wonders do happen. So here’s what I want to tell everyone who has seen or will ever see a failure in his life. You may feel like giving up and it is completely normal, but that shouldn’t stop you from taking a fresh start and doing it all over again with a new zeal. As the people at https://housing.com/ say, “Change signifies that we’re moving forward, living better, and giving ourselves the chance to be the best we can possibly be”. I could not put it in a better way myself. Things that make a kid happy. A lot of things happen as we grow up from a kid to a responsible adult, and a few of those are supposed to be good too. We learn to interact with the world, learn to control our emotions and slowly grow up to take responsibilities of things around us. All this sounds good, but I do miss one thing very badly, the ability to laugh at the smallest of the things, the state of no boundaries. And that’s true, a little kid doesn’t know what’s right or what’s wrong, they’re as innocent as it gets and their ability to express themselves is something us grown-ups can only envy. Talking about my little nephew, although many little things make him happy, he happens to be selective with what to laugh at. After all a baby’s laughter is the most precious thing for a mother, so why should he make her thing it is easy to get! To list a few things that make him happy is a tough job, you can never be certain that he’ll give you the pleasure of seeing him smile for the same thing again. But still, there’s always something that will make him laugh. The ceiling fan tops the list in our case. Unlike most parents who entertain their kids with lullabies and songs, my sister and brother-in-law use the ceiling fan to make him concentrate. The kid not only loves it, he literally gets lost in it. And that’s just a first in the list of weird things this kid loves. There’s also the smartphone, but not just any smart phone, the note II ! If it’s a normal galaxy, he might just throw it away, but my note and he have a special bonding. I am yet to experiment with the i-phone though. Now before this post goes on to prove that my nephew is just as weird and crazy as me, I’d like to throw some light on the normal things he loves. The first one in that will be the poem “Old McDonald had a farm” As much as I hated poems when I was a kid, he happens to forget everything else when we play this little one on the phone.